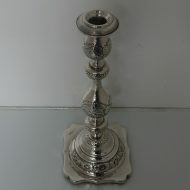 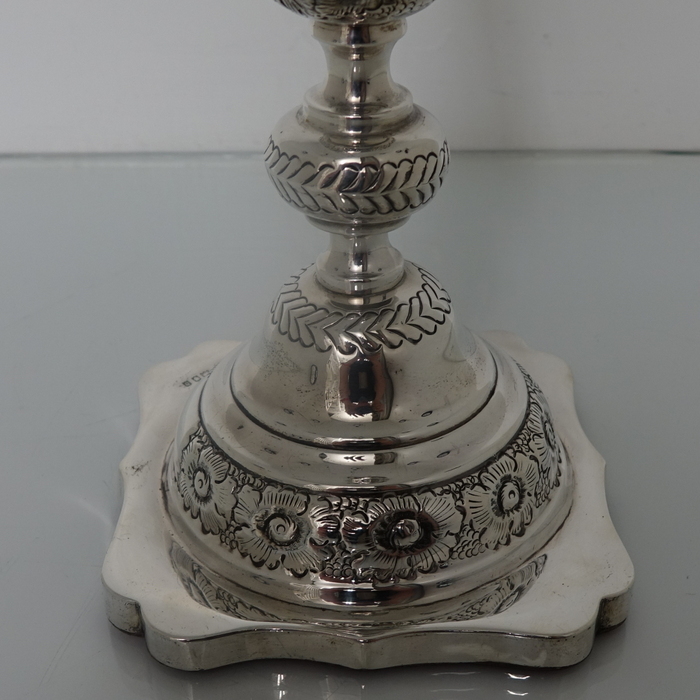 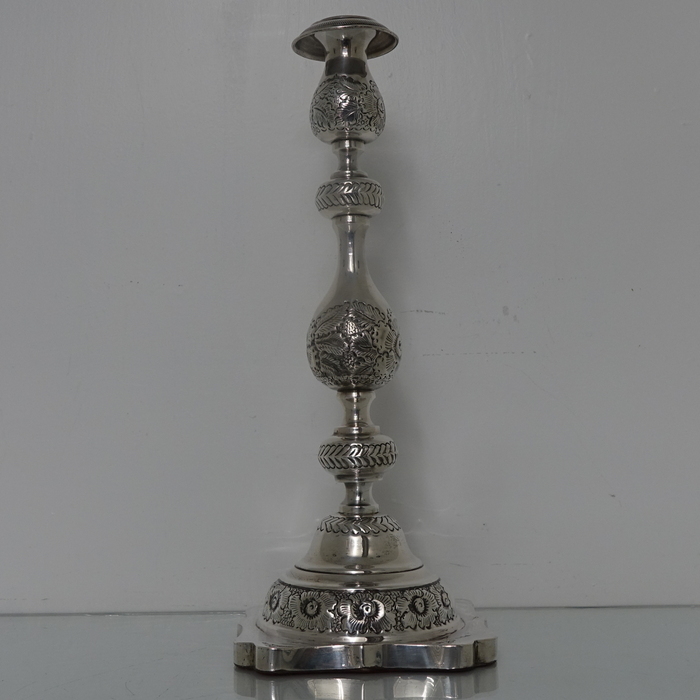 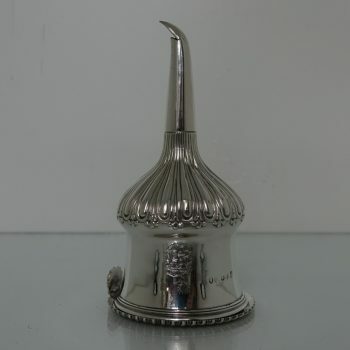 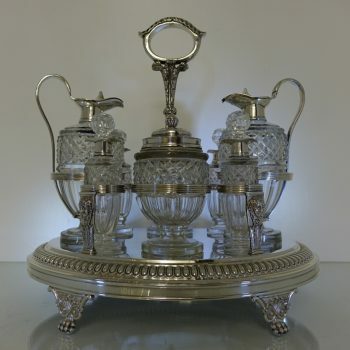 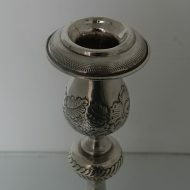 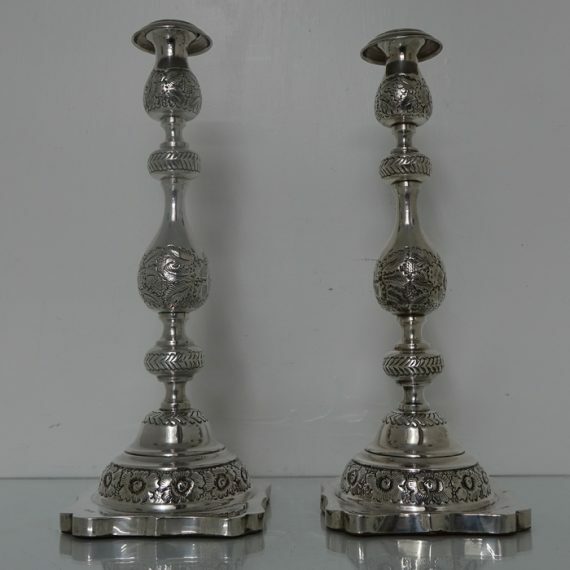 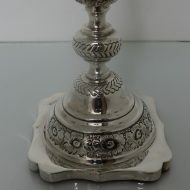 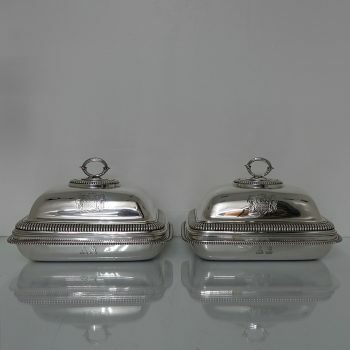 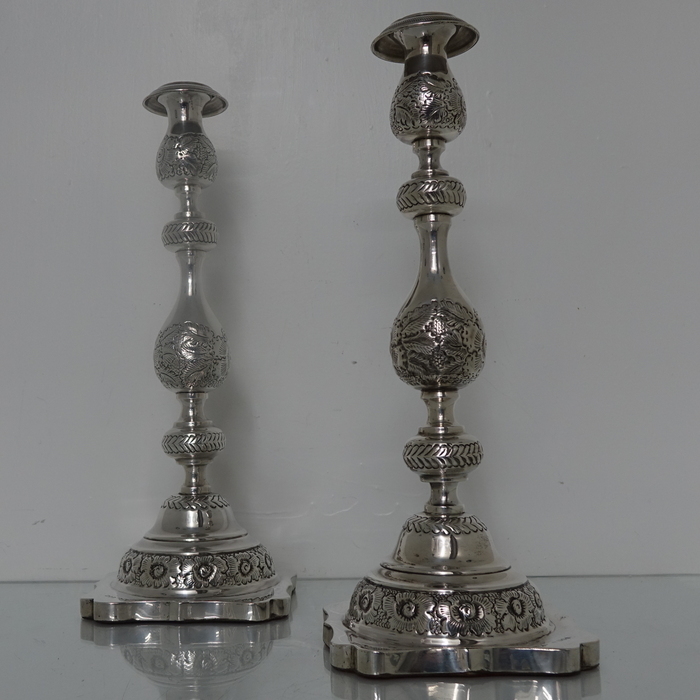 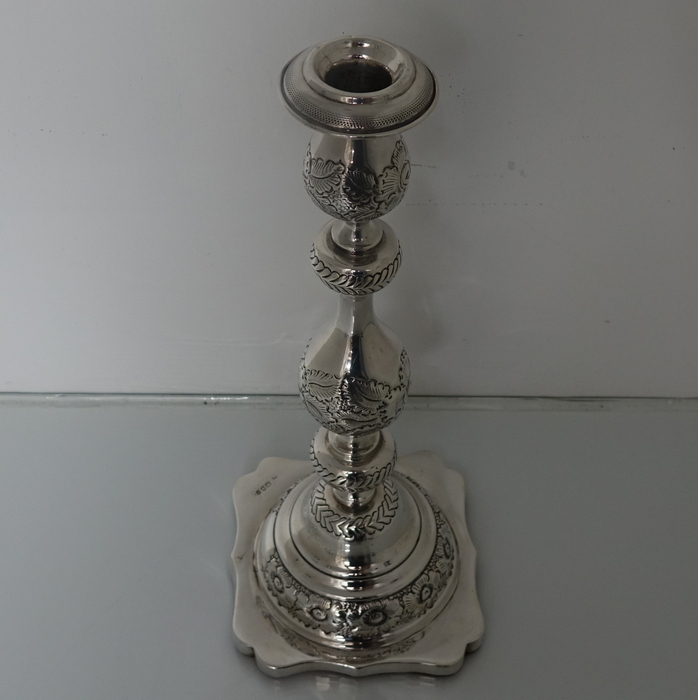 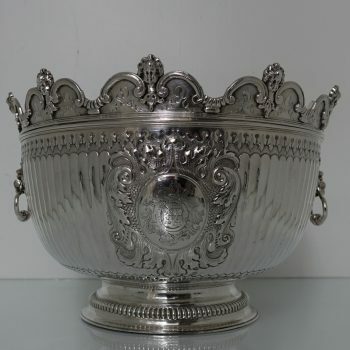 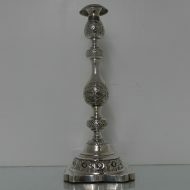 A very elegant pair of large silver sabbath candlesticks with beautiful floral embossing for decoration. 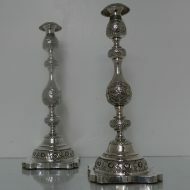 A very elegant pair of large silver sabbath candlesticks with beautiful floral embossing for decoration. 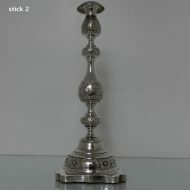 The sticks have shaped square bases which have been filled. 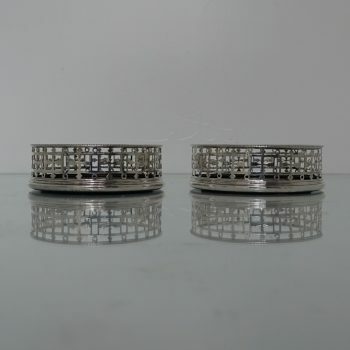 The nozzles are detachable and have stylish engraving for highlights. Condition: Very good. 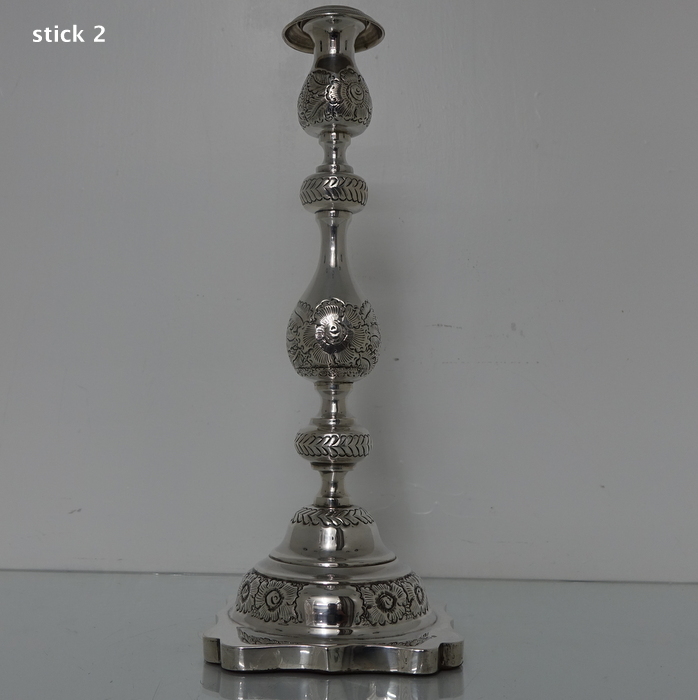 Time aged rubbing of makers mark on both sticks. 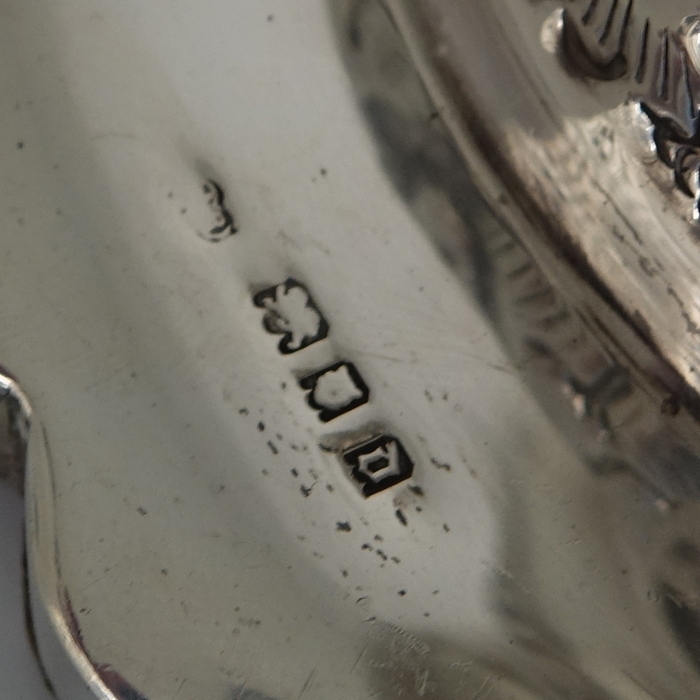 Clear makers mark on nozzles.